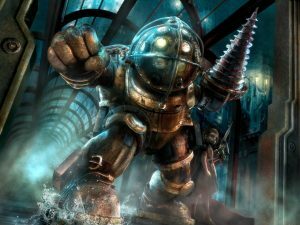 Director, Gore Verbinski Won’t Make a BioShock Movie Unless It Is Rated “R”!!! Gore Verbinski is best known for directing the american version of “The Ring” and “The Pirates of the Caribbean” films. Please, Lionsgate, buy this film and let Gore make it. ‘The Big Lebowski’ Pinball Machine Is Coming To A Home Near You!! This entry was posted on Monday, February 14th, 2011 at 12:21 pm	and is filed under Film, News. You can follow any responses to this entry through the RSS 2.0 feed. You can skip to the end and leave a response. Pinging is currently not allowed. « Geek Deal Of The Day Invited You To Torchwood!! !